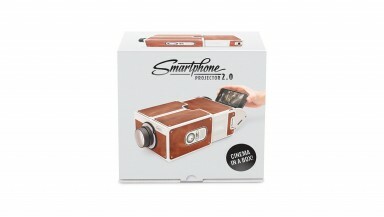 Show off your latest photos or watch your favorite videos from your smartphone with the portable Smartphone Projector 2.0. 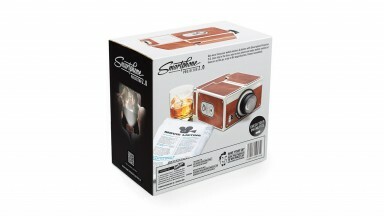 Bring out the drinks, gather your friends around and get ready for show-and-tell. 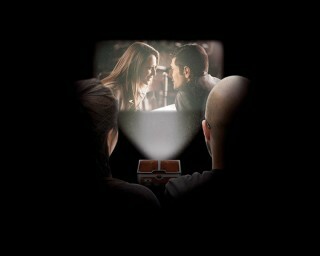 With the Smartphone Projector 2.0 there’s no need to crouch uncomfortably or wait for your turn to see photos or videos from a smartphone. 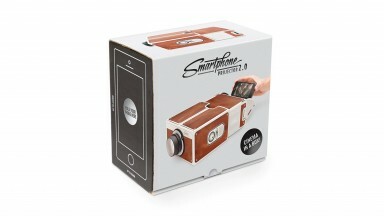 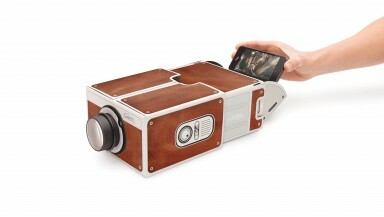 Simply prop your smartphone in this portable projector and start viewing your snaps enlarged on a wall. 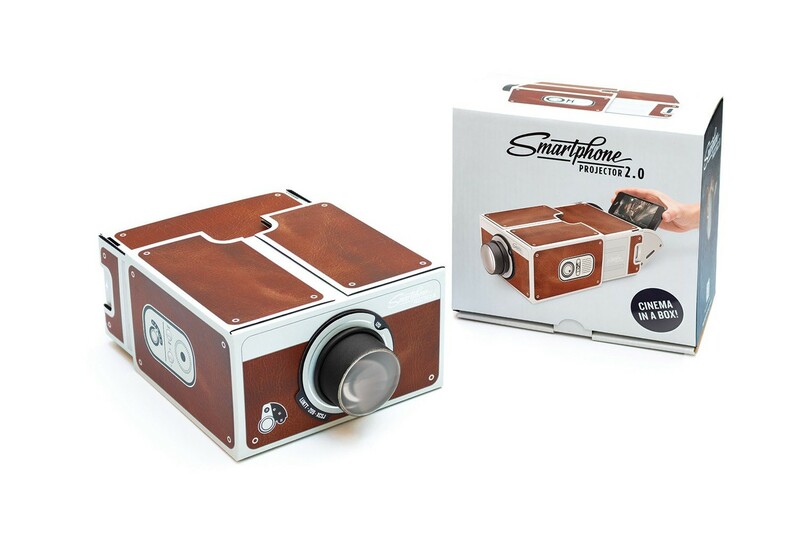 It’s fun to use for backyard parties (provided that you have a white screen), tents and even small intimate gatherings in your living room. 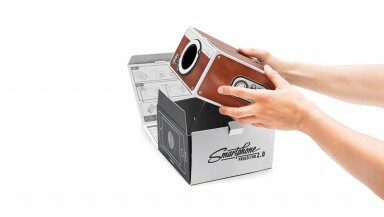 The Smartphone Projector 2.0 is already assembled so you can immediately use it straight out of the box. 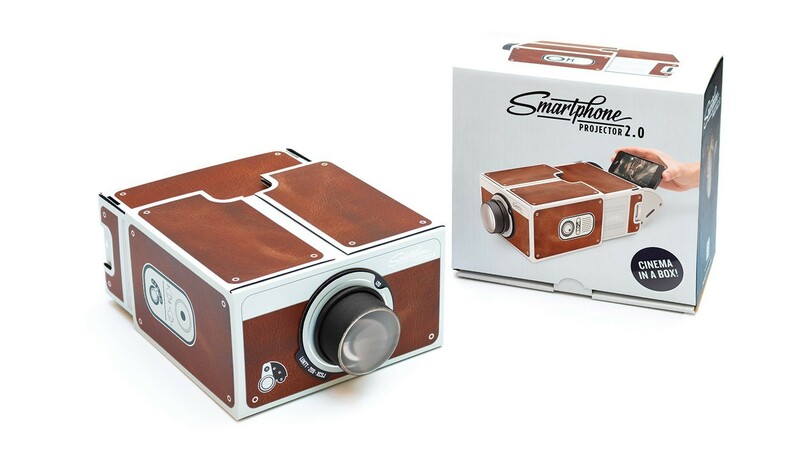 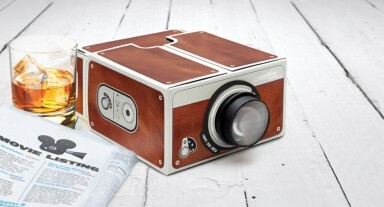 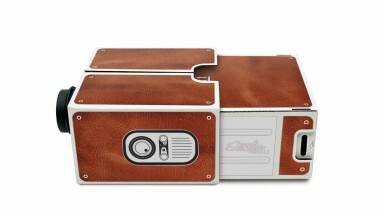 Plus, it looks really good too—it’s inspired by range finder cameras, leather flasks and cigar lounges, making it a really nice gift to give and to get.